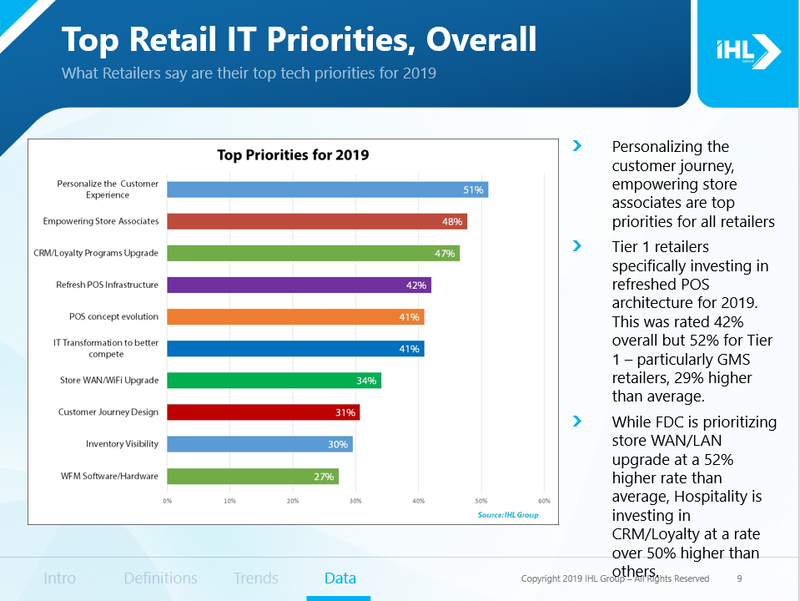 From this year’s SuperSaturday edition of this memorable event, here is a summary of the altruistic work of RetailROI, the latest research on the 2019 essential retail technologies, and an inspirational close on the power of branding transformation. The purpose of the RetailROI is to raise awareness and provide real solutions for the more than 400 million children vulnerable worldwide. In just ten years, RetailROI has made substantial progress in making an appreciable human difference to the world. You heard correctly, an amazing 226,000 children around the world now have a brighter future today because of RetailROI. On SuperSaturday, Jeff Roster shared insightful data from recent IHL research titled ‘Stored Advantage: Why Leading Retailers Are Doubling Down on Stores‘. Here are just a few of my favorite charts. 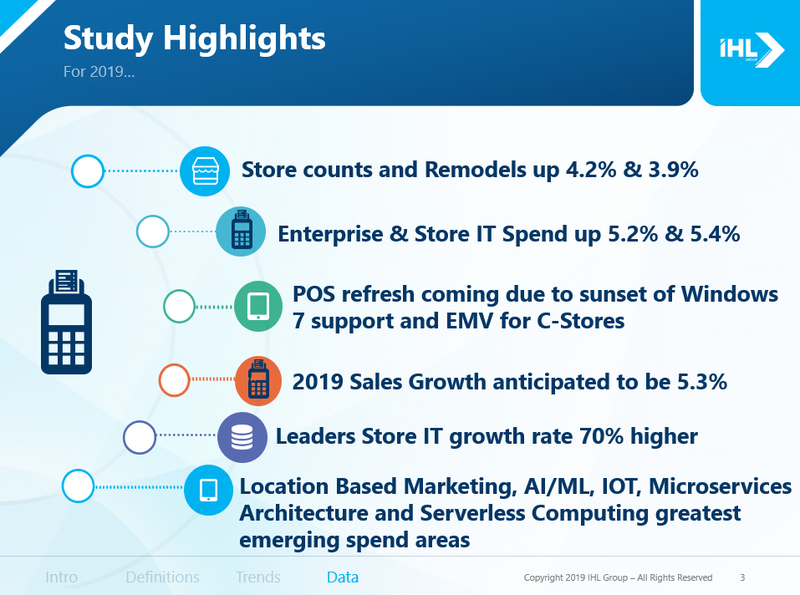 As Jeff pointed out, USA retail had a very good year in 2018 with sales up close to 6%, after an increase of 4.5% in 2017. Counter to all the over-hyped retail apocalypse, 3600 net new stores opened in 2018. The optimism is reflected in increased IT spending. 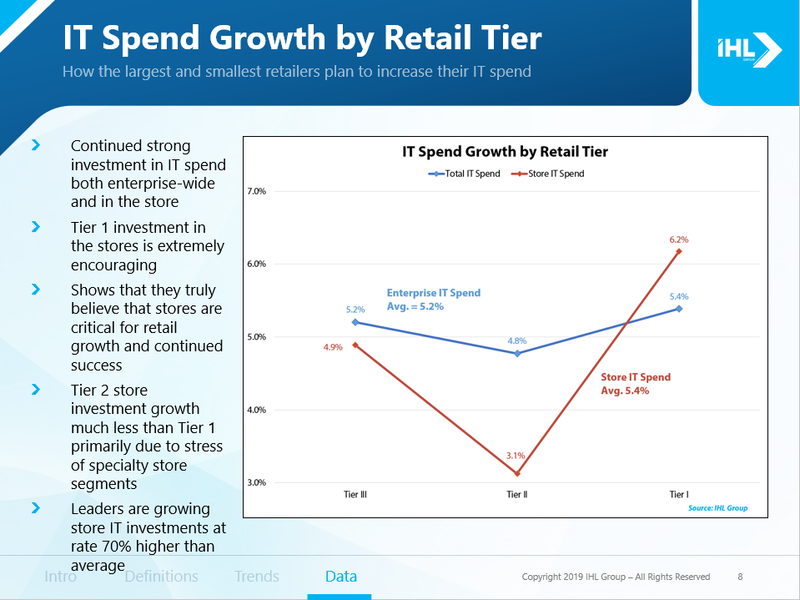 Note the variation by retail tiers. 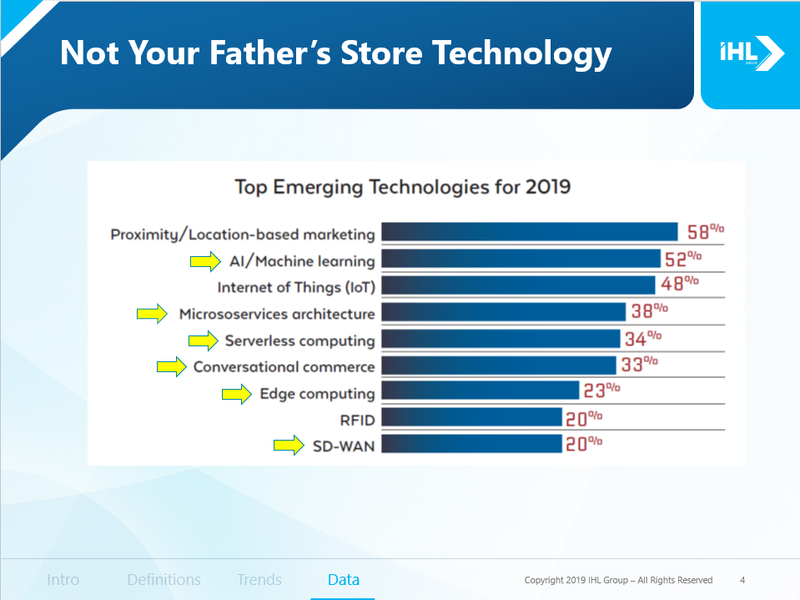 Retail now has a substantial focus on emerging technologies and adding more sensors and intelligence inside the store. Note the rise of artificial intelligence and machine learning. RFID also had a tremendous jump versus the 2018 study (20% versus 1.3% last year). The top two priorities are exactly in line with my view of the future of retail. Personalized immersive customer experiences and passionate associate as brand ambassadors engaging seamlessly across both physical and digital retail channels. 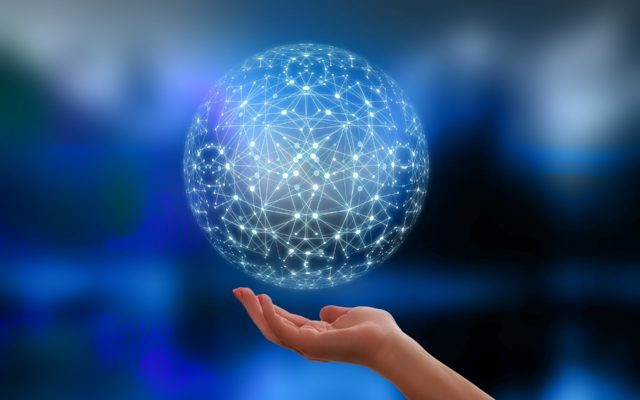 A free summary variation of the above research is available from RIS News in a report titled ‘Store Experience Study 2019: Doubling Down on Transformation‘. Justin Patton from Auburn University shared an interesting statistic on the growth of RFID. In 2014, approximately four billion retail apparel items were RFID tagged. By 2018, twelve billion apparel were RFID tagged. Justin’s presentation covered a variety of topics including technology trends in RFID, sensor fusion, and blockchain in Retail. James Rhee, Executive Chairman and CEO of Ashley Stewart, closed RetailROI SuperSaturday with a motivational reminder on the power of branding and loyalty. Here is a quick video summarizing James’ message. As James Rhee states, Ashley Stewart was a media business trapped in apparel clothing for the last 25 years. A great example of combining viral media events, use of digital technologies including social media, customers and associates as brand ambassadors, and immersive experiences with the clothes validating that you are a member of an exclusive club. RetailROI SuperSaturday has become one of my favorite motivational continuous learning activities just prior to NRF. Above are just a few examples of the exceptional value of engaging with retailers, analysts, and solutions providers during an emotionally filled day where you are also helping vulnerable children around the world.